At the Chartered Institution of Highways and Transportation (CIHT) last week delegates were treated to briefings from key figures across a range of areas including law and management. Transport Network reports on some of the key insights for the future of contracts in the sector. According to infrastructure lawyer and partner at Beale and Company, Will Buckby, the roads sector should brace itself for ever greater complexity in contracts, more disputes and a continued tightening of cash flows. On top of this he suggested, the sector must deal with a new wave of complexity coming through the greater integration of technological and data issues into contracts. ‘We are moving away from designing and building construction projects and moving more into the technology space. Contracts dealing with technology are generally more complex and have a lot of different considerations than we are used to. These contracts put a greater emphasis on intellectual property rights, software licences, greater emphasis on standards, greater information requirements. I also think there will be a lot more dealing with data sharing and certainly cyber security,’ Mr Buckby says. However, one development that might provide a path towards less conflict, namely the need to collaborate more and share risk. Mr Buckby said: ‘Future contractual arrangements are likely to encourage collaborative working and collaborative contracting. One can expect to see more risk sharing, particularly between consultants and contractors - financial pain and gain sharing, sharing liability together and being rewarded together based on project key performance indicators (KPIs) rather than individual KPIs. I think we will also see more joint venturing particularly on major schemes, especially in light of Carillion's collapse. 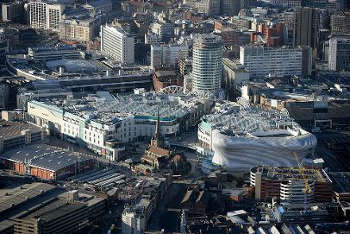 On the Birmingham Amey PFI deal, Mr Buckby said: ‘I think it’s a good example of how not to contract because it is incredibly one-sided, very onerous, lots of performance specifications, condition specifications and all the things that lawyers don’t like. I think there needs to be a step change to a more collaborative approach to contracting and also more user friendly contracts. She highlights the Institution of Civil Engineer’s Project 13, described as a new long-term, value driven approach to contract delivery, which was also celebrated by Dana Skelley, director strategy and operational excellence at Skanska UK. Mr Buckby said: 'At the start of this year Highways England announced Regional Delivery Partnerships replacing collaborative delivery frameworks. Under this arrangement contractors will be delivery integration partners designing and constructing under the NEC4. Mr Bucky said another area of change was the Government’s push to resolve late payments, which 'has become a real issue in recent years, something that the Government is really working hard on in order to improve payment returns within the supply chain'. 'Previous initiatives included a prompt payment code. That doesn’t have any teeth at all and is really not working,' he added.